Whether you prefer listening to talk radio or 80’s music, nothing helps time go quicker on the job site than with a site radio to keep you entertained. A Makita radio is a popular choice with customers for their quality, versatility and value. 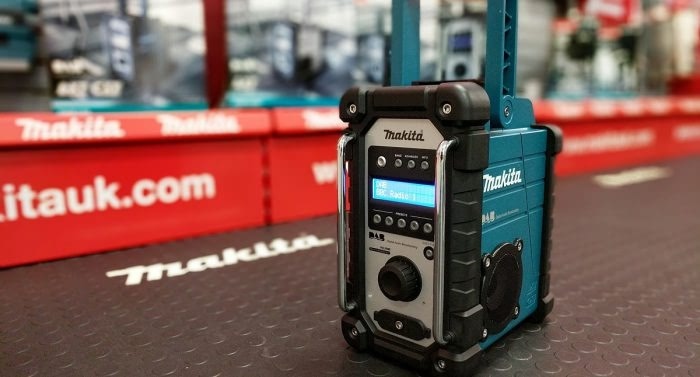 With several Makita radio models now available to choose from, we take a look at the different features to help you choose the right one for you. Customers often ask us if there is a Makita Radio with both DAB and Bluetooth. As yet the answer is unfortunately no, Makita don’t have a radio with both of these features. It will be interesting to see if they launch one in the near future. All Makita radios boast IP64 rating. This basically means they are built to withstand construction site conditions, specifically dust and a bit of rain (the official line is ‘shower-proof’). Which Makita Radio is right for you? If you’ve decided to go for a Makita radio, then your next decision is which model to choose. Apart from the DMR200, which is ideal for smaller spaces, they all feature similar specifications. It’s an easy decision if you need a DAB radio for your favourite station – the new DMR109 is the only model currently with DAB tuning. 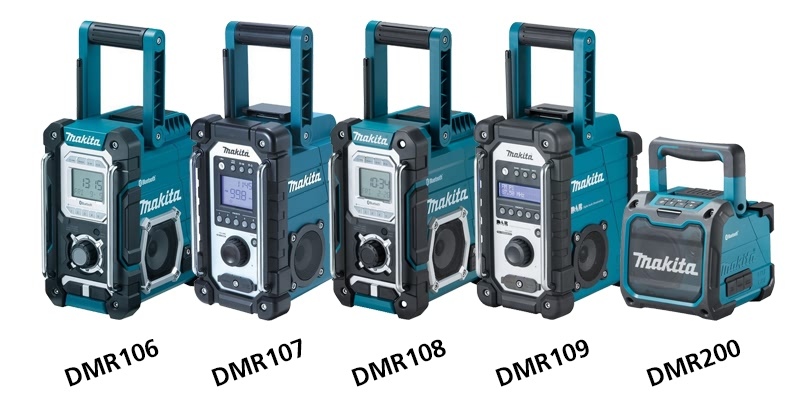 If it’s your own tunes you want to listen to on the job site, the DMR106 and DMR108 feature Bluetooth connectivity.